I Replaced My Broken Gas Mower With A Cordless Electric Mower! My wife sent me out to use the push mower to mow a small part of our yard that is on the side of the hill and is a bit tricky to mow with the riding mower. This should have been a pretty easy assignment, but when I pulled the cord to start the mower.... SNAP! I knew this was bad news, because the starter cord broke last year too. I ended up buying a new starter coil mechanism for about $40 dollars and installed it. Since the mower is about 10 years old, it was a tough decision to put $40 into it, but I figured this was cheaper than replacing it. When the mower broke again, I had the opportunity to revisit this decision. I decided not to put any more money into this mower. 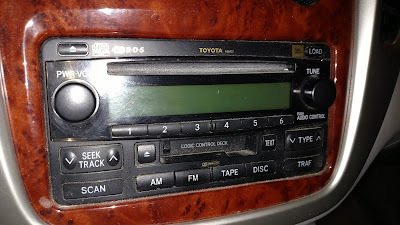 It still works fine (except for the starter cord), but it was showing its age. The wheels are worn down. The plastic deflector for grass coming out has been broken for years and has been re-attached using some wire. The blade is dull and should be sharpened or replaced.. So I loaded up the old mower and took it to the landfill for a disposal fee of $12.50. That part was pretty easy. Now for the hard part- getting another mower. When I had a small yard, I considered getting a plug-in electric mower. With a small yard, it wouldn't be too hard to plug in an extension cord and reach the entire yard. I like the idea on an electric mower because that means no gas, no oil, no spark plugs, and most importantly... NO STARTER CORD! But my yard now is large and ranges from prairie to forested areas beyond the reach of an extension cord. I mow almost all of it with a nice riding mower equipped with snow chains to help with traction in hilly areas. 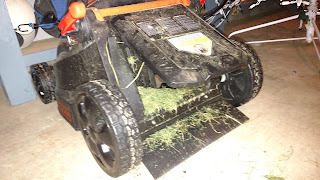 The push mower is needed only for trimming and mowing some tight spots that I can't reach with the riding mower. I decided to get a cordless electric push mower to replace the old gas mower. There are some full-sized 22 inch cordless electric mowers, but these run around $500. I found a slightly smaller 16" model from Black and Decker for about $250. Actually, the small size is handy for reaching the tighter spaces I want to mow with a push mower anyway. The first problem I had with the Black and Decker is the bag. This mower is designed to collect grass clippings in a bag. This is handy sometimes, but emptying the bag is tedious. I used a wire clothes hanger to hold the rear door open a few inches. I turned this mower into a rear-discharge mower, and it works pretty well. I plan to use the bag sometimes, but most of the time I will use it in rear-discharge mode. A pleasant surprise about the cordless electric mower is how quiet it is. I can mow comfortably without ear plugs or hearing protection. It is quieter than a vacuum cleaner, and there are no fumes. Plus, it is so light that it is easy to move around the yard with it. I will say, however, that if you are expecting a cordless electric mower to be just like a gas mower then you are likely to be disappointed. This mower is ideal for light mowing: fairly short grass, fairly even terrain. You won't be hacking through thick, overgrown weeds with a cordless electric mower. That's OK, because that isn't how I use my push mower. Another potential downside- it looks like a toy. Black and Decker tried to style it up nice and sporty. It was a nice try, but the small plastic push mower does look like a child's toy. This doesn't bother me, but it may bother some people. 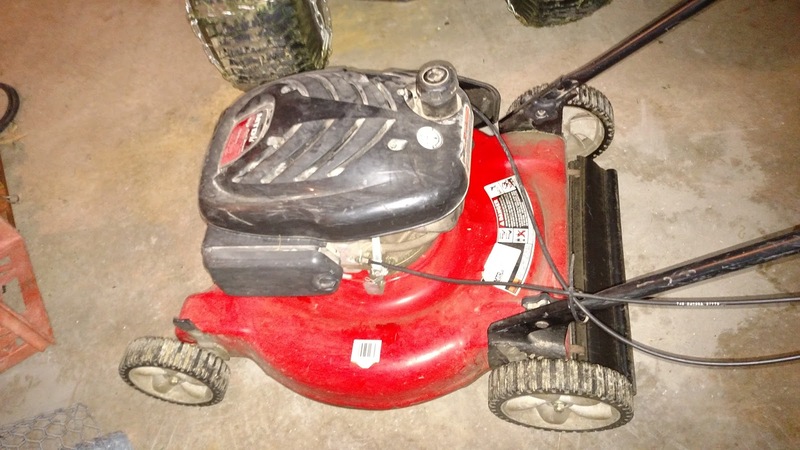 This mower comes with two 40V battery packs with 2 amp-hour capacity. I like that there are 2 batteries included so you can always have a fully charged backup battery ready to go. These high capacity batteries also work with other Black and Decker tools. If the mower keeps working well, I will think about getting a cordless electric trimmer too. Since the cordless mower already came with 2 batteries, I could buy the "bare tool" cordless hedge trimmer for around $50. You can also get a cordless string trimmer and even a battery-powered snow blower and a battery-powered chain saw that use the same batteries and charger. Overall, I think an electric mower will last a long time due to fewer mechanical parts to wear out, and it should require no maintenance other than sharpening the blade. In the long run, I think I will come out ahead by upgrading to a cordless electric mower. I'm going with Option 1. My old laptop is nearing (or past) the end of its useful life. I considered several options to replace it ranging from a tablet computer, a Chromebook, a Windows 10 laptop, and even a Microsoft Surface. I threw out an other option just in case: Option 1. Option 1 means to do nothing. While this option does not improve my computer situation, it is the least expensive. That, of course, is the only reason to go with Option 1. What does this mean for you, a reader of Penny Pincher Journal? You may have noticed that I haven't posted in a few months. I was pretty frustrated with my computer and I was planning to get back to work on the blog after I got a better computer situation. I also got distracted by some paid freelance writiing opportunities and ended up getting articles published on places like Time.com, Kiplinger, Business Insider, etc. But now my computer situation is resolved in a sense. I have decided not to get a new computer. I went to Best Buy about five times, and looked around on Amazon and Ebay many nights to check out computers, and decided that a Microsoft Surface would be just right for me. But in the end I decided not to spend that much money. I just couldn't bring myself to borrow money and make payments on a computer when I have so many other bills to deal with. 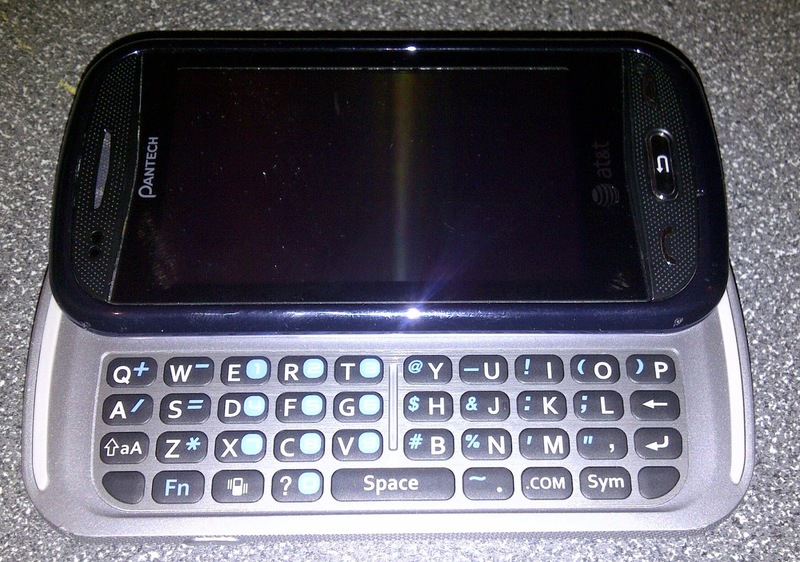 Typing articles on a cell phone is possible. I timed myself typing a passage of text on my cell phone and found that I can type about 20 words per minute. This is about half as fast as I can type on a computer keyboard. Back in May, I found myself on the road with an article due and only my cell phone with me. I bought a bluetooth keyboard for about $20, so I can type articles on my phone with a keyboard. That gets me back up to around 40 words per minute. And my old laptop still sort-of works. So I have some options to keep working that don't cost anything. I am going to try to get back to work on Penny Pincher Journal using the equipment I have. Sure it would be nice to have a newer computer, but I am not going to wait for a year (or more) to be able to do anything. I think the point of this post is not to overlook the benefits of Option 1 (Do Nothing). I can avoid spending money and keep doing everything I want to do, even if it is not ideal. But nothing is really ideal anyway. When you face a decision of whether to spend money or not, don't forget Option 1 - do nothing... Sometimes this is the best option, especially if you make the best of it. 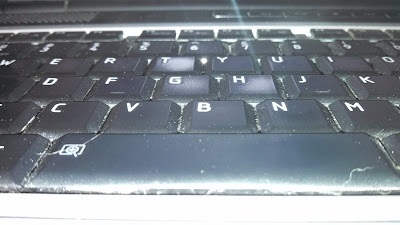 But the real dilemma I am facing is what to do about my aging laptop computer. I bought it in 2008, or maybe 2007. It was so long ago that I don't remember. It sports an Intel Centrino processor and runs Windows Vista. I don't think runs is the right word, it is limping Windows Vista. I have kept it going for so long by keeping the hard disk optimized, cleaning up the Windows registry, sweeping for malware, and keeping my anti-virus software up-to-date. Recently I started getting warnings from my Chrome browser that Windows Vista is no longer supported and Chrome will no longer be updated. This means that any newly discovered security vulnerabilities will not be fixed. Even before this news about Vista no longer being supported, I was thinking about getting a different computer. It takes almost forever to scroll down a page. I sometimes get out my phone and read articles while waiting for the browser page on my laptop to scroll down. I replaced the battery about 5 years ago, but this battery is now down to about 5 minutes of capacity after unplugging. I mentioned that I look at web pages on my Android phone because it is a lot faster than my computer. 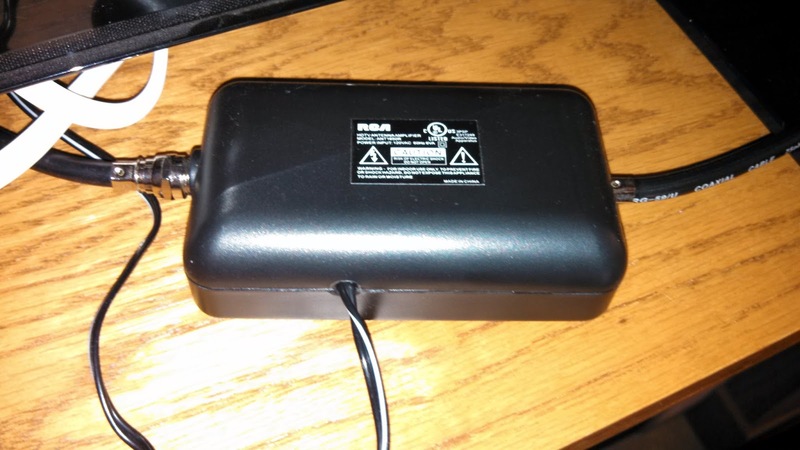 I even bought a $20 Bluetooth keyboard so I could use my phone as a sort of home-made Chromebook. I have written several blog posts and even one of my articles on Wise Bread using my phone. I like the portability and long battery life of my phone, but the screen is quite small. Option 1: Do nothing. Sometimes not expending time and effort is the best option. I have gotten this far with my old computer, why change now? This option would cost nothing, but I would be left trudging along with a very old computer (see photo above). Option 2: Switch to my phone. 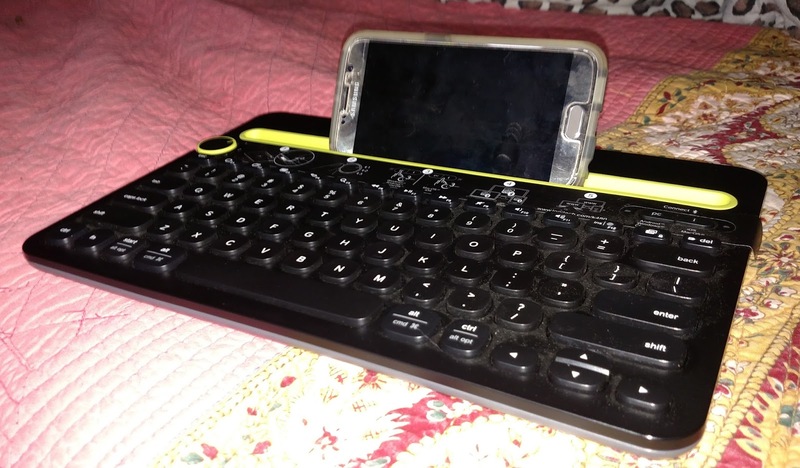 I mentioned that my $20 Bluetooth keyboard with my Android phone works pretty well, except for the small screen. I could just stop using my computer and use my phone/keyboard combo instead. This is another zero cost option since I already have the keyboard. But the screen on my phone is so small that I think my productivity would take a hit. 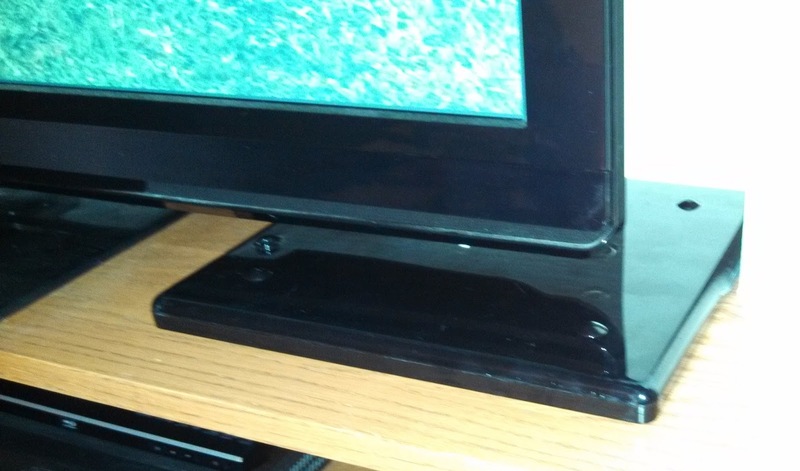 Details about how I made a "Chromebook" for $20. Option 3: Get a Chromebook. A Chromebook is a laptop that runs Android operating system. 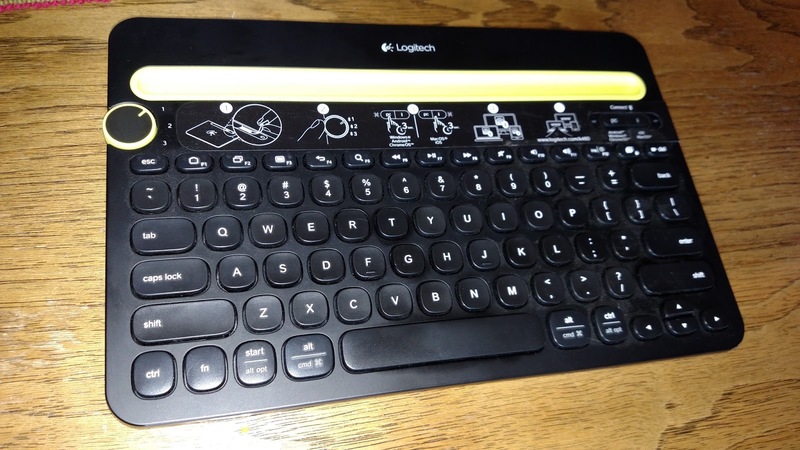 It is basically like a tablet with a permanent keyboard. Chromebooks have a small solid state memory rather than a spinning hard drive. This makes Chromebooks better able to survive being dropped, but the storage capacity is much less than with a hard drive. The cost is under $200. Chromebooks are also known as "netbooks" because they use cloud storage and apps running from the Internet in a Chrome browser window rather than having everything installed locally. If you are interested in basic e-mail and web surfing, this may be the lowest cost option. Option 5: Get a 2-in-1. What's a 2-in-1? 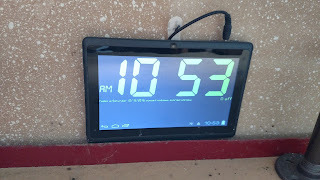 This is a relatively new computer form factor that is essentially a laptop computer with a touch screen that allow it to function as a tablet computer too. You can use it like a laptop, or you can flip the screen completely flat against the back of the keyboard and use it like a thick tablet. 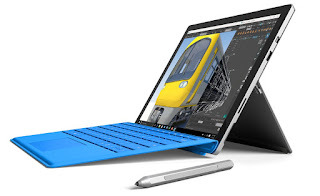 Some models have detachable keyboards- Microsoft Surface is one such model. Many of these 2-in-1 machines have powerful processors, abundant RAM, and run Windows 10. I like the idea of being able to run the same types of software that I can run on my laptop now, but the price tag runs $500 to over $1,000 depending on the processor, memory, and screen quality. The surface has a stylus so you can write on the screen which is cool, but I am not sure how much I would really use that feature. Option 6: Get a newer Windows laptop. I could skip the touch screen and just get a simple Windows 10 laptop with plenty of memory and processing power for what I do for around $500. So what is the best option to replace an outdated computer? Since I do make income blogging with my computer, I wouldn't feel too bad about spending a little money to boost productivity. Stay tuned to find out how I resolve my computer dilemma! I was recently on the road and had an article I needed to write to meet a deadline. I did not take a computer with me on the trip- I planned to use a computer at the business center of the hotel to type my article. Unfortunately, the office center was closed due to flooding. I considered typing the article on my cell phone using the on-screen keyboard. This would have been possible, but would have been frustrating and would have taken hours to get done. I needed a better way to type my article. I walked to a nearby Best Buy and checked out cheap computer options. I could get a Chromebook or a cheap Windows 10 computer for about $150. I quickly decided that spending $150 was more than I could handle. Studying these netbooks did give me an idea, though. I realized that these inexpensive computers have solid state drives and small screens. I realized that this was similar to the capability of my Android cell phone that I had with me, except unlike my cell phone the cheap laptops had a keyboard. 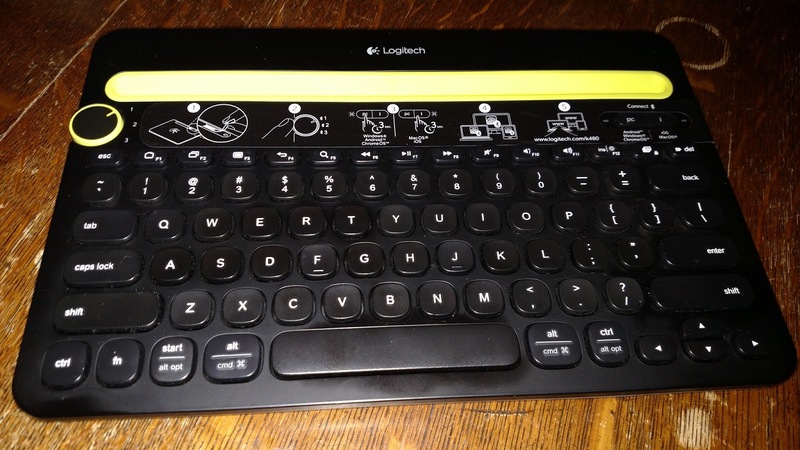 I checked out Bluetooth keyboards and found a nice solution. 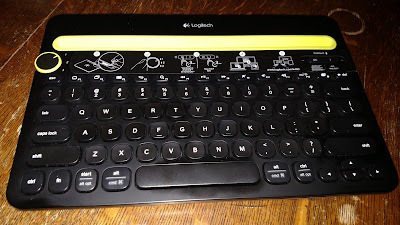 With a $20 Bluetooth keyboard, I could essentially make a Chromebook that would allow me to type up my article just as fast as I could type it on a computer. With my homemade Chromebook, I could work with Google Docs and do basically anything I could with a real Chromebook. 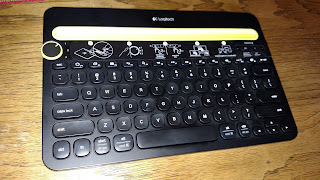 The Bluetooth keyboard can also be used with a tablet computer, so I could have a bigger screen by using a cheap Android tablet computer. 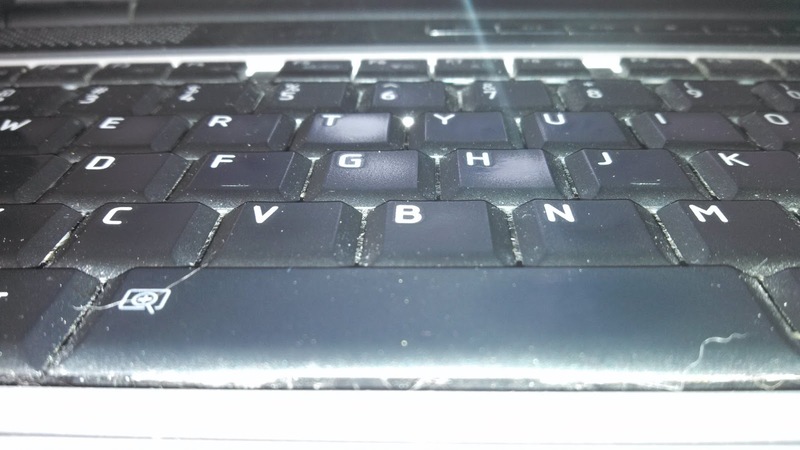 Making a Chromebook using my Android phone and a wireless keyboard was a great solution when I needed a computer and didn't want to spend much money. 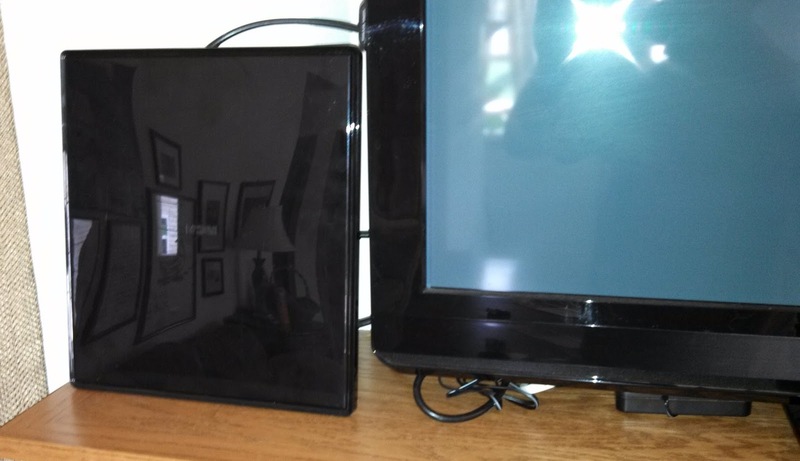 The screen size using my cell phone was pretty small, but I made it work. 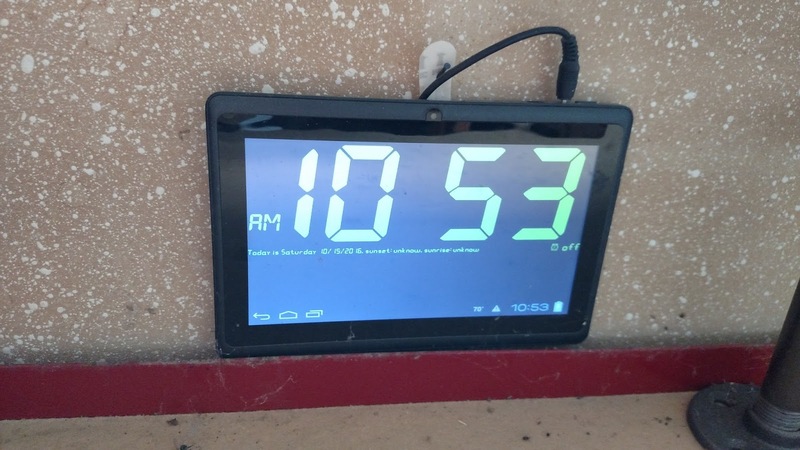 An Android tablet computer with Bluetooth would make a better homemade Chromebook. Will AdBlock Break the Internet? A few days ago, Apple announced that its new iPhone will support AdBlock software. Apple is always making innovative upgrades to iPhones, so something as simple as supporting AdBlock may not sound like such a big deal. But this could break the Internet. If you are not familiar with AdBlock, it is software you can install so that ads do not appear when you look at websites. I first saw AdBlock in action a few years ago when I tried to look at one of my websites on my wife's computer. None of the ads on my page were displayed and I thought my ads were broken. I mentioned this to my wife and she explained that she runs AdBlock software on her Mac desktop. Even back then, I realized it would be a big problem if too many people started using AdBlock. "What's the problem?" you say. There is all this free stuff on the Internet that you want to look at, but the ads are annoying. Why not just block the ads and make it easier to surf the net? The reason that all kinds of free stuff is available to read on the Internet is that the people publishing it can make money from the ads. If there is no money to be made, people will stop putting free content on the Internet. This includes bloggers like me on up through sites like the New York Times. Apple's announcement raises the level of concern since this brings AdBlock to the mobile phone platform, which is a growth area for Internet advertising. Also, featuring AdBlock as an innovative feature will encourage more users on desktop and mobile android platforms to adopt AdBlock. As someone who likes to get free stuff, I am concerned. If Internet ads dry up, there will be less free stuff that I can access as publishers like bloggers and news sites reduce the amount of free material they publish. Perhaps some of the best content from the large publishers will move behind a pay wall. But I won't pay. As I have cut back my budget, I stopped getting a newspaper and also stopped getting cable TV. Free stuff on the Internet is a major source of news and entertainment for me, and I don't want to see the quality content and variety go away. Of course, I am also a publisher of free content on the Internet and revenue from ads provides a motivation to keep publishing new material. What Could Be More Annoying Than Ads? It will be interesting to see how this will unfold. 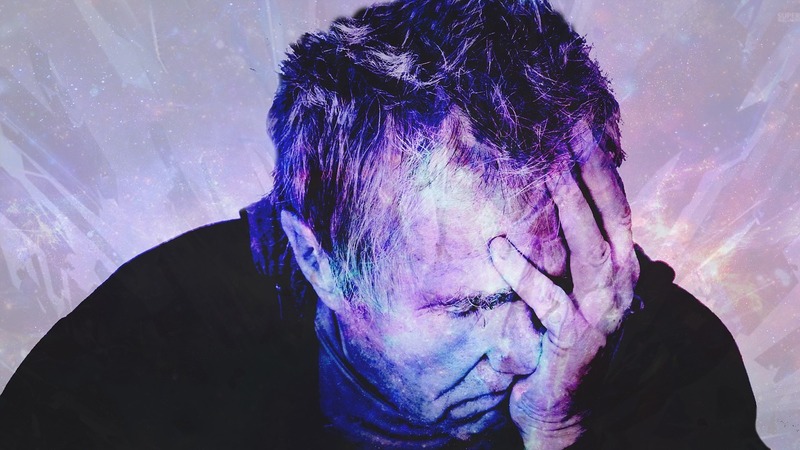 I agree that some Internet ads are pretty annoying, especially the pop-over ads and video ads, but alternate ways to pay for Internet content seem even more annoying. 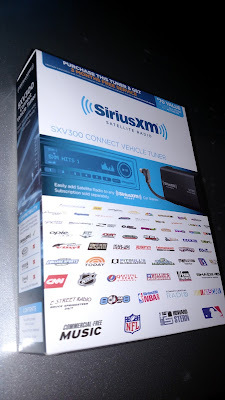 Imagine having to subscribe and log in to each your favorite sites, not to mention paying a monthly subscription. Imagine having to type in your credit card number and pay a small amount, even 10 cents, to read articles you find as you surf the Internet. Imagine having to launch a separate app to view each of your favorite sites. Using custom apps from each publisher is a way to get around AdBlock that works on browsers. Imagine if the distinction between content and ads is blurred- think product placement. News articles may have product promotions integrated into the story to get by AdBlock. I am still optimistic that AdBlock proliferation could end favorably- there is a lot of money in play, and technology can change quickly. One of the most promising scenarios is that only the most obnoxious ads will get blocked and the good ads- like mine- can get through, and people can enjoy free content on the Internet. This seems better than the alternative where all ads get blocked, and a different way for readers to pay for content must be established. Malwarebytes: How to Remove Malware from Your Computer for Free! 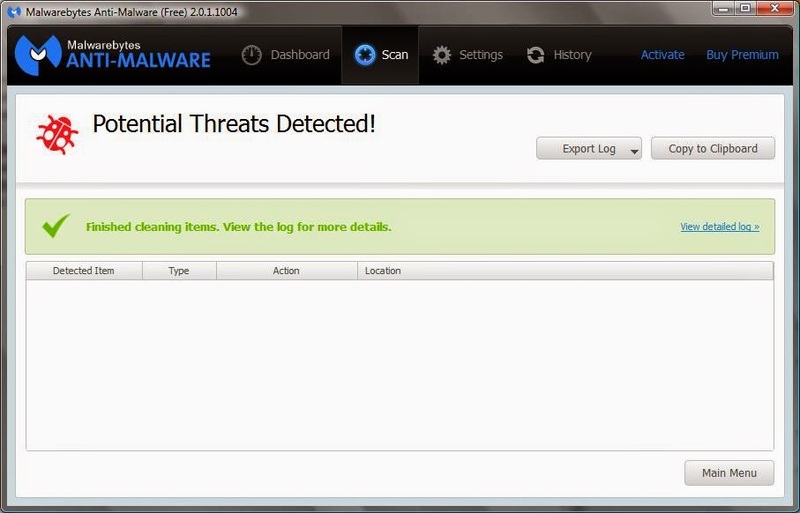 Malwarebytes anti-malware software- free download! If your computer is running slowly, it may simply be slowed down by extra plug-ins, toolbars, and other unneeded software and files that have been installed. 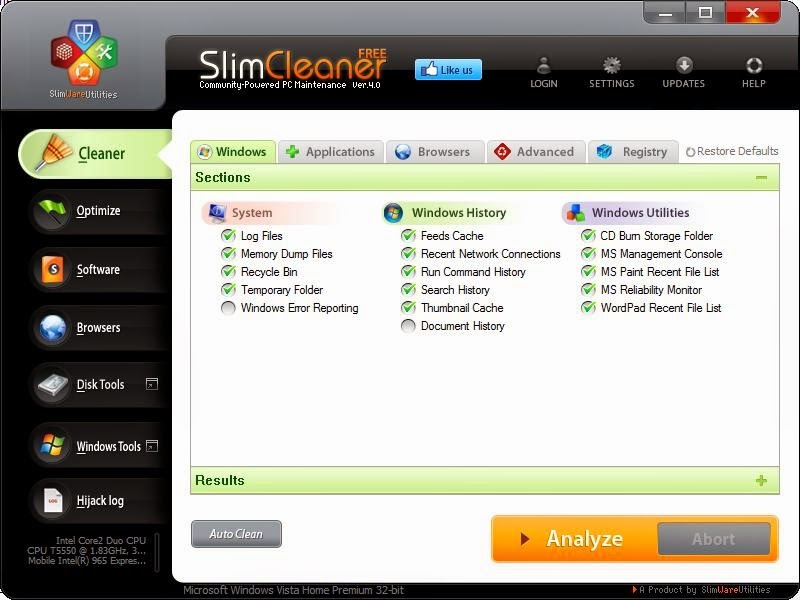 You can download SlimCleaner for free to clean files and extra programs from to speed up your computer and make it run faster. If your computer is running really slowly, it may be infected with malware. Malware is software that attacks your computer and may use some of your computer's resources for malicious tasks such as sending spam e-mail or trying to break into other computer systems. 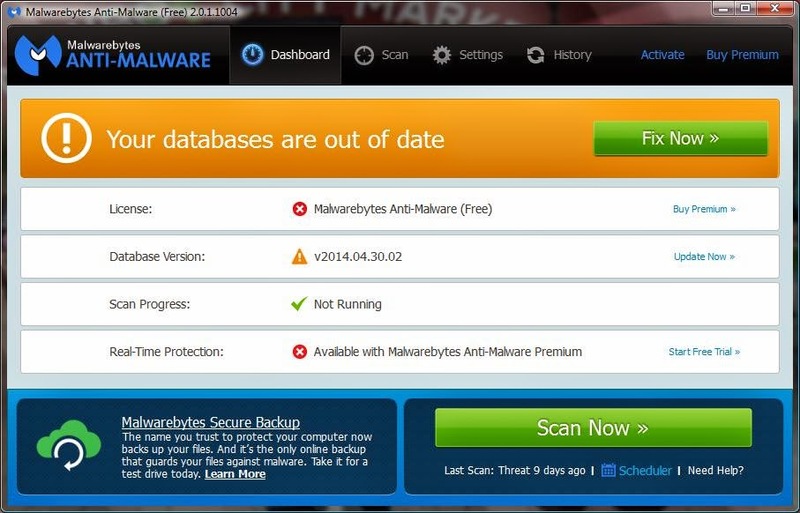 You can download Malwarebytes anti-malware software for free to scan your computer and remove any malware. After downloading Malwarebytes anti-malware, click the "Update Now" option to update the malware database. Then click the green "Scan Now" button to start a scan. Scanning a computer can take about 30 minutes or so, depending on the size of your hard drive and how many files you have to scan. At the end of the scan, you can see how many malware items were detected and you have the opportunity to remove the malware. My son was able to remove a really pesky malware called V9 from his computer using Malwarebytes anti-malware. V9 had infected his Internet Explorer and Chrome Browsers and I was not able to uninstall V9 using windows tools. Malwarebytes took care of V9 easily. On my computer, I noticed that Malwarebytes detected a few items that I would not consider malware, so it is important to review the list and make sure you are not deleting items that you installed and use that you are certain are not malware. Clicking the Scan Now button will automatically run through all of these steps to scan your computer for malware threats. At the end of the scan, you will be able to review the list of all of the malware threats found and apply actions to quarantine and delete the malware threats. SlimCleaner: Speed up Your Computer for Free! SlimCleaner: Free Computer Speed Up! Use SlimCleaner to Speed Up Your Computer for Free! For years, I have used Norton Utilities to keep my computer tuned up. 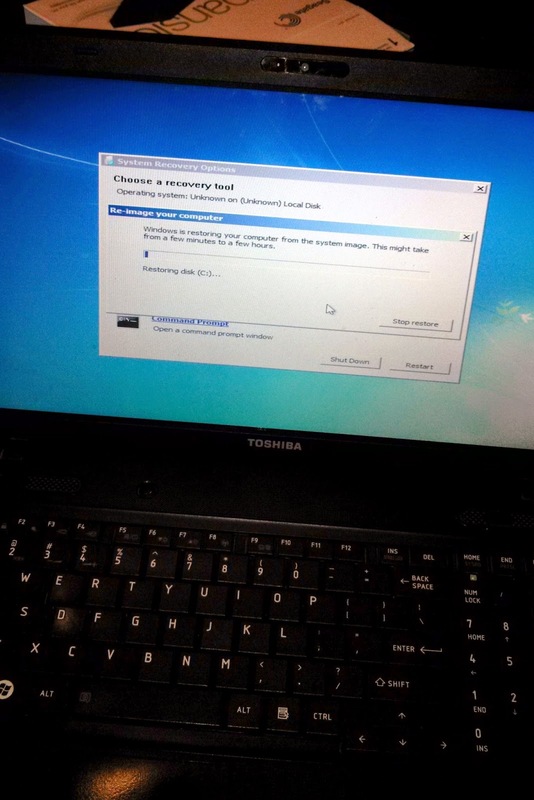 My son's Windows 7 laptop was running very slowly and I had a chance to work on it. I considered spending about $50 for Norton Utilities, but decide to check out free utilities to see what could be done for free to speed up my computer. 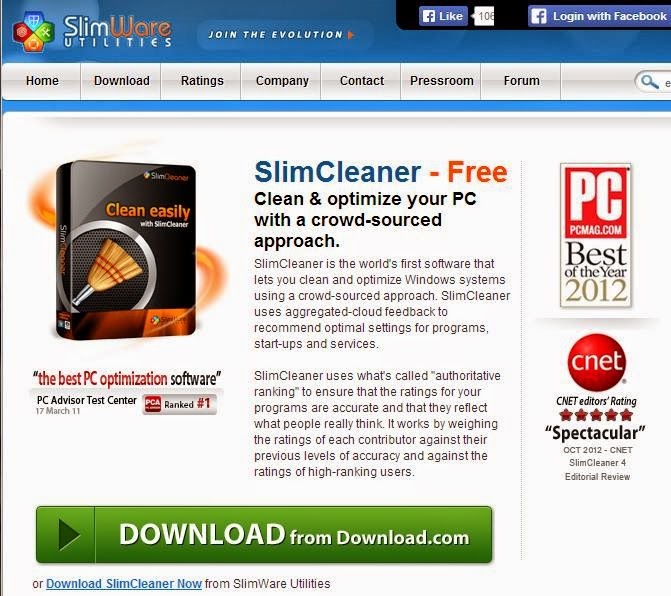 I came upon a free program called SlimClean from Slimware Utilities. SlimClean has several tools to speed up your PC by deleting extra files and software that seems to get installed whenever you download something. SlimClean also optimizes start-up programs and Windows services to speed up your computer. SlimClean uses feedback from users to help determine which services and programs are not needed. SlimClean also has disk tools including a disk defragmentation tool and disk wiping tools, and tools to find and eliminate duplicate files. 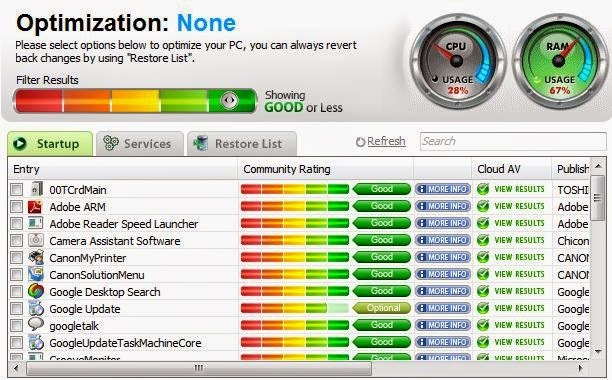 Other tools include the ability to review all of your browsers and remove unwanted toolbars. This can make web browsers run much faster. You can also scan for "hijack" threats based on input from users on the web to help identify malicious files. When you launch SlimCleaner, it automatically updates the software to the latest version and offers you an button that says "Analyze". When you click this, SlimCleaner will search your hard drive for unneeded files including cookies and temporary files. Next, you are offered a chance to defragment your hard drive. This is a process that places files near each other on the hard disk, reducing access time and allowing your computer to run faster. You can select the Optimize menu and review community ratings for drivers and plug-ins that are installed and decide whether to delete them. The Software menu provides a list of all of your installed software along with community ratings of each of the software items so you can decide which to keep and which to delete. The Browsers menu shows all of your installed web browsers and allows you to easily uninstall unneeded toolbars to speed up your web browser. The toolbars have community ratings to help you decide which are useful and which to delete. The Disk Tools menu allows you to analyze your disk drives, find and remove duplicate files, and wipe data from drives. The Windows Tools menu provides access to built-in Windows tools to speed up your computer such as Windows Update, the Services Monitor, Performance Monitor, etc. The Hijack Log menu scans your computer for plugins and other software that could hijack your system and provides community ratings to help you decide what to keep and what to delete. I tried out SlimCleaner on my son's computer and was impressed enough to run it on my own computer as well. It did make the boot-up time significantly shorter and does seem to make my computer run faster. If you have an old cell phone that you are not using, you can quickly and easily get cash for it. It is easier than ever to sell a used cell phone, with more businesses buying used cell phones to sell in secondary markets. Prices offered by phone buyback companies are competitive since they want to buy your cell phone and resell it for a profit. There are four ways to get cash for your old cell phone. The best method for selling your cell phone will depend on how quickly you want to get your cash . Also, the condition of your phone and the local demand for your phone are factors to consider. If your phone is in excellent condition, you may get more selling it yourself to an individual buyer through craigslist or eBay. If your cell phone is in average or worse condition, you may be better off selling it to a buying company rather than an individual. If your phone is a few years old, you may have trouble finding a local buyer unless it is a very popular model such as an iPhone. Sell your used cell phone and get cash! This is an interesting way to get money for your cell phone. ecoATM machines are artificial intelligence kiosks that use automatic image analysis to examine the condition of your cell phone. ecoATM uses electrical diagnostics to make determine whether it is in good working order- you are offered a connector so you can plug your phone into the ecoATM for evaluation. ecoATM will offer you a price for your phone and you can decide whether or not to sell it. As you might expect from the ATM part of the name, you can get instant cash for your cell phone. 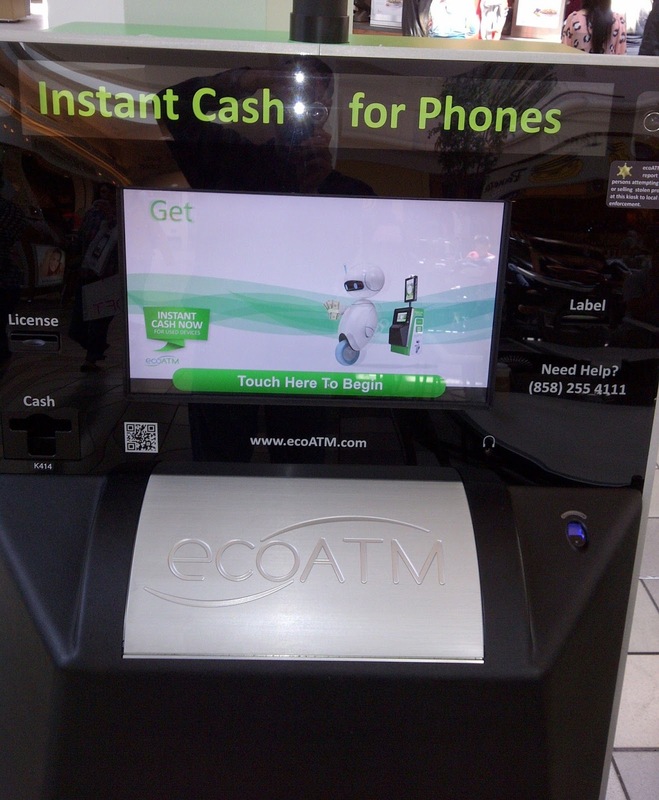 ecoATM does use a remote human operator to compare the photo on your ID with the video feed from the ecoATM. The identity of sellers is tracked carefully to allow investigation if stolen cell phones are cashed in at ecoATM. 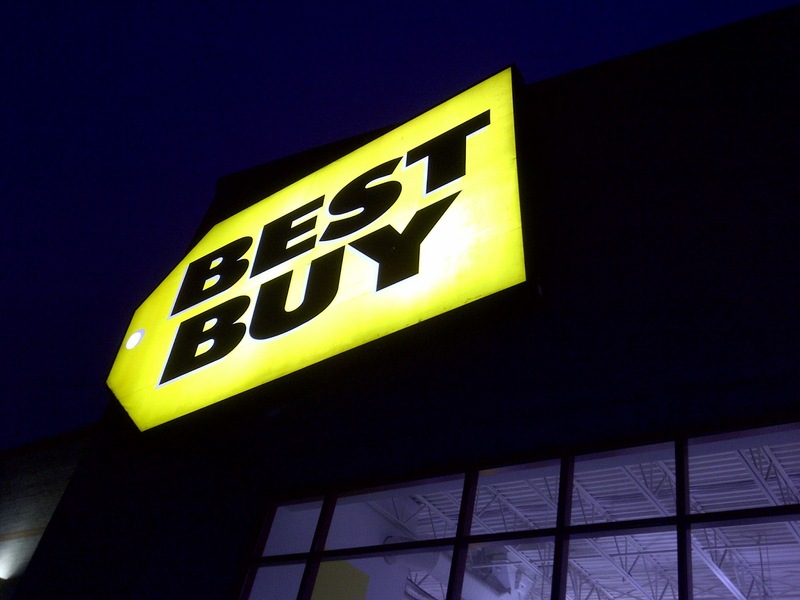 Electronics stores such as Best Buy and GameStop will buy your used cell phone at the store. Best Buy calls their program a trade in, but you don’t need to buy a new phone in order to sell your old phone. At the service counter, they will look up your phone in a database by make, model, and condition and offer you a price. They will also power up your phone and check that it is good working order. You can get instant cash for your phone by selling it at an electronics store. On the website, enter the make, model, and condition of you phone to get an estimate. Many cell phone buyback services offer free shipping if your phone value is over a certain amount. An advantage of using buyback services is that you can quickly check offers for your phone on websites and pick the best offer. However, it may take a couple weeks to ship your phone, have it evaluated, and receive your payment. If you are looking for fast cash, you'll want to consider another method. As you can see, there is a big difference in the value of a used cell phone depending on which buyback service you get an offer from- it pays to look at multiple offers and pick one of the best offers. I took my phone to the ecoATM at the local shopping mall. ecoATM examined the BlackBerry and gave me a generous offer of.... $36. I declined the offer from ecoATM since I should be able to get $70 at the Best Buy store if the offer at the store is the same as from the Best Buy on-line service. However, I learned that the offer from Best Buy is for store credit at Best Buy- not cash. After considering my offers, I decided to sell my BlackBerry myself on eBay. This brings us to another way to get cash for your phone. You might be able to get the most money for your cell phone if you’re willing to sell it yourself. However, selling your phone yourself is a lot more work than selling it to a buyback service. You'll want to check the market price for your cell phone on a couple of the buyback service websites above. For it to be worth the effort, you'll want to set the asking price higher that the offers from buyback services. One drawback of selling the phone yourself is that there is no way to predict how long it will take to sell. It could sell in a day, or it may take one week, or it may take longer. 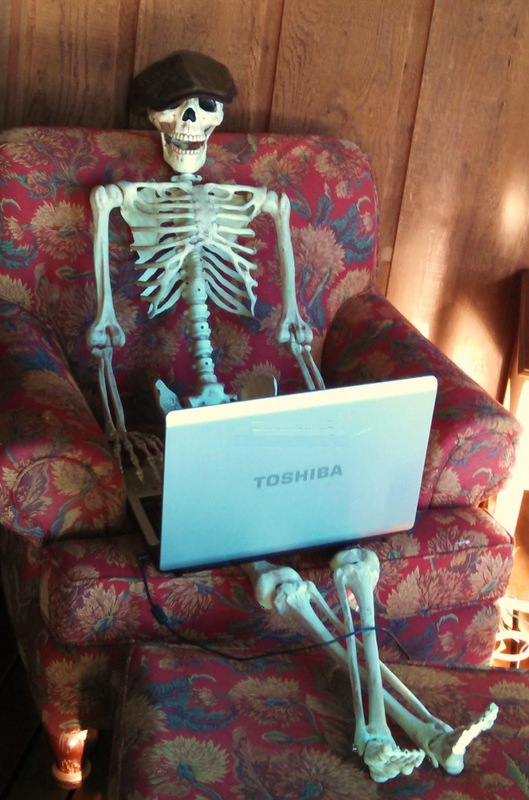 If you sell on a eBay auction, you will know when the auction ends, but you will not know if you will get any bids. If you offer a Buy It Now option, your phone could sell at any time. Check some listings for phones of the same model and condition that you are selling to get an idea of the market price. You will be able to see how high the bidding has gone on auctions that are near the ending time. I ended up listing my BlackBerry with wall charger and USB cable on eBay with a starting price of $51 and Buy It Now price of $100. The phone sold within 2 hours for $100. eBay turned out to be a good way to sell the phone myself. The payment was received through PayPal and was very easy- the money just showed up in my account. I printed my own shipping labels through eBay and dropped the package off at the post office. Get at least a couple offers for your used cell phone to consider. Check offers from mail-in buyback services on their websites so you can compare offers. The convenience of getting instant payment makes selling your cell phone at a local store or ecoATM kiosk appealing. If you have a relatively new phone, or a popular model, you may be able to sell it yourself on craigslist or eBay and get the most money for your phone. But it will take some work to advertise your phone. With craigslist you'll need to meet with buyers to close the deal. With eBay, you'll need to pack and ship your phone. Can I get cheap cell phone service for my existing cell phone? I have an existing Blackberry cell phone on AT&T. 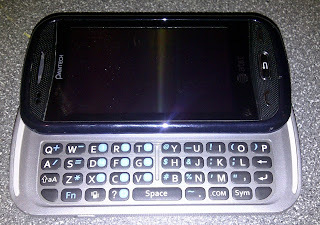 My 2 year contract ends in June and I will be the proud owner of a Blackberry cell phone. Can I take advantage of the fact that I will have an existing cell phone that is paid for to get a lower cell phone bill? The payment for a new cell phone is included in the contract plan when you sign up for service when you buy a cell phone. For example if you get a $300 phone, you’ll pay $300 over 24 months at $12.50 per month to pay for the cost of the phone. Since my phone is paid for, it seems like I should be able to find a plan that is about $12 per month cheaper. If I go with a smaller carrier, I would prefer to have a no-contract plan in case I am not satisfied with the service or coverage. 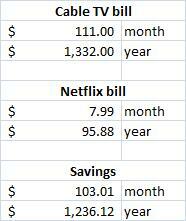 I would be willing to give up data if I could save $20 per month or so. I can use wi-fi instead of the cell network for data. What options are available to get service for an existing cell phone? One limitation of using your existing cell phone on a different network is compatibility. GSM and CDMA are the major cell phone network types. Your cell phone will be compatible with only one of these network types. Sprint has a "closed" list of ESN's so Verizon or US Cellular CDMA phones cannot be activated on Sprint network. 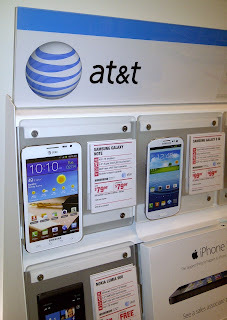 So my best bets among major carriers for an AT&T Blackberry are AT&T and T-Mobile. There are also smaller carriers that use cell towers from the major carriers to provide service. Some of these may be options as well. 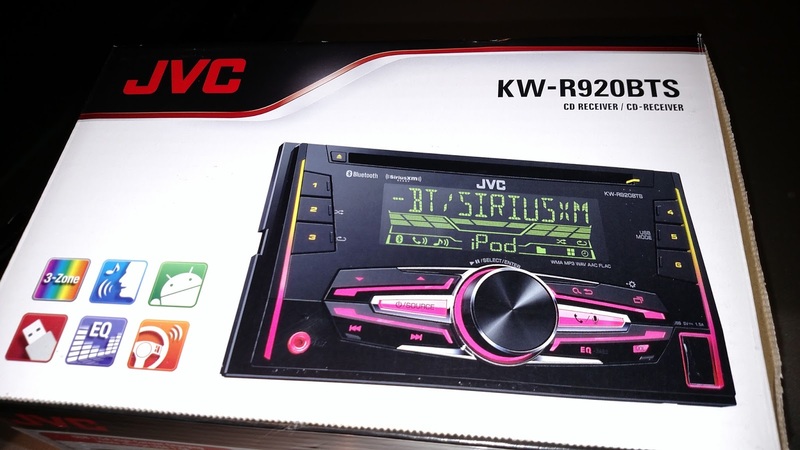 Expensive, but definitely compatible with my AT&T Blackberry. Blackberry won’t qualify since it is a smart phone. 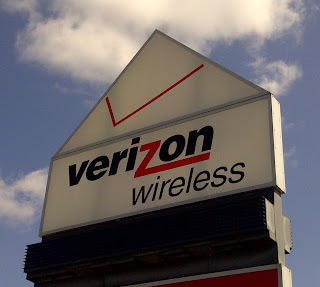 As mentioned above, Verizon is not compatible with AT&T phones. However Sprint network is not compatible with AT&T phones. Bring your own phone plan: T-Mobile's website has links to help you unlock your phone if necessary. $70 for unlimited voice, text, data. Family plans for $60 per line. T-Mobile uses GSM like AT&T, so my old Blackberry may be compatible. This may be a good deal if you use a lot of voice minutes or data, but I don't really need much. I would like to find a plan for under $40 per month. iWireless is a T-Mobile affiliate in Iowa and offers T-Mobile cell phone service. 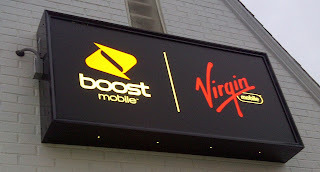 The U.S. Cellular website noted that pre-paid plans were not yet compatible with smart phones and indicated that must U.S. Cellular customer's phones would work with the pre-paid plans. I didn't find information that indicated whether or not existing cell phones from other companies could be used. 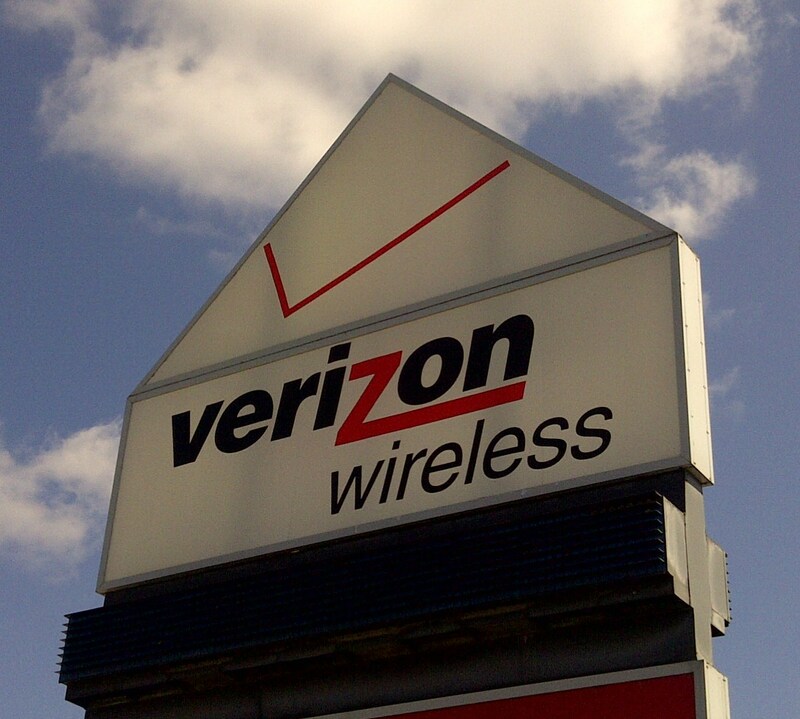 The smaller carriers use cell towers and infrastructure from the larger carriers to create their own plan offerings. Sprint network is not compatible with AT&T phones, so this won't work for my AT&T Blackberry. $40 unlimited talk, text, and data. First 500MB is at high speed 4G speed, then you get slower rate data for the rest of the month. You can pay $10 more to get 2.5GB of 4G data before it slows down. For $60 per month, you get unlimited 4G data. It was not clear from the website whether I could use my 3G AT&T Blackberry on their service or not. The Cricket web site explains that existing phones can be flashed to Cricket service, but not all Cricket network features may work. The Page Plus website says that only the small set of phones sold by Page Plus Cellular for use on their network is guaranteed to work. So bringing an existing phone would be at your own risk. The Page Plus Cellular phone prices range from $50 to $150. Uses Sprint network, so not compatible with my AT&T phone. Also, the website says that you cannot use a phone from another network. Straight Talk services uses cell towers from several major carriers, so can support many types of phones including GSM phones like AT&T and T-mobile. Straight Talk is a promising option if you have an existing cell phone and are looking for a good deal on cell phone service. Recently, Straight Talk sim cards for AT&T are no longer sold in Walmart stores- you need to order these on-line. Also, the Straight Talk website no longer talks of compatibility with AT&T phones- instead the description talks about compatibility with GSM phones. This makes me nervous about future support for AT&T phones from Straight Talk. Perhaps AT&T is realizing that AT&T customers are leaving AT&T to use the AT&T cell network through Straight Talk for half the cost. Republic Wireless use specific phone models for wi-fi service- their web site suggests the Motorola DEFY XT, so my AT&T Blackberry is not compatible. Net10 Wireless uses GSM networks, so is compatible with T-Mobile or AT&T phones. The Net10 website says you can bring a T-Mobile compatible GSM phone, or an unlocked GSM phone that operates on compatible frequencies (850 and 1900 MHz). You can purchase a Net10 standard or micro SIM card to get your phone on Net10 Wireless service. Net10 has a $45 per month unlimited talk, text, and data plan renewable 30 days at a time that sounds promising. Cell phones and cell phone service are expensive- so choose wisely. Pick the lowest cost phone and plan that meets your needs. Android Browser War: Which Android browser is best now? Which Android browser will dominate market share in the future?